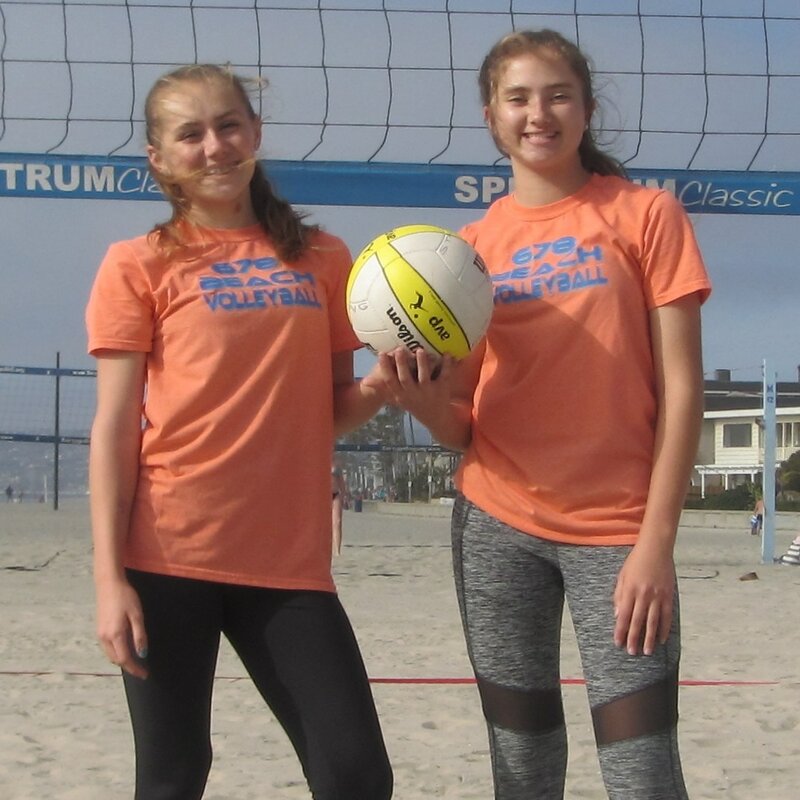 619 Beach Volleyball Club provides volleyball training to all level of female students in the greater San Diego metro area. The program's focus is on grades 6 - 9. ages 10 - 15. 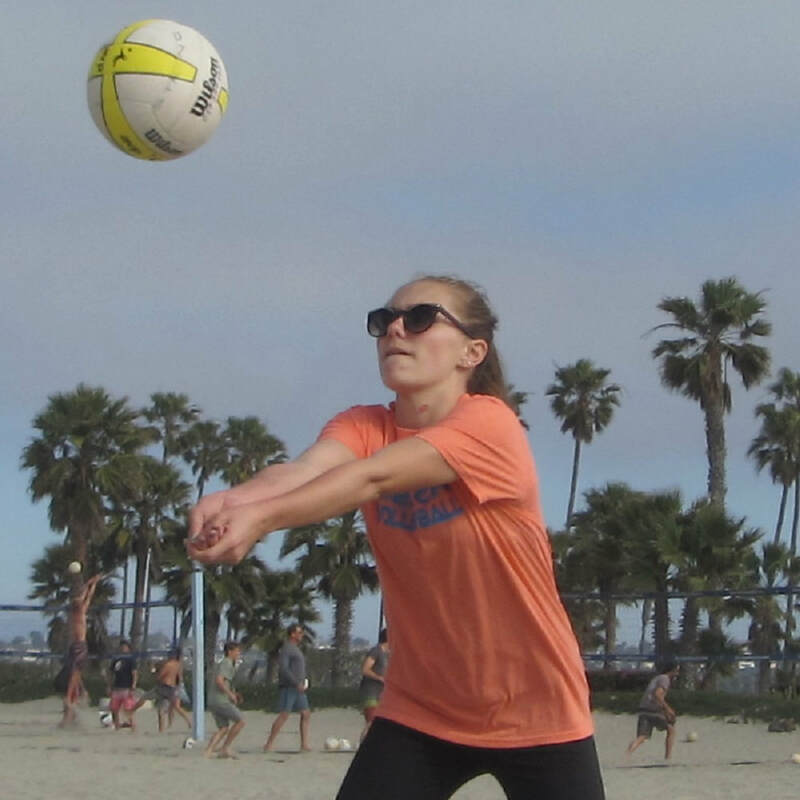 Our program's coach and former middle school and high school teacher is USAV Beach IMPACT certified and has been coaching over 17 years, including coaching 4A high school programs in the nation's 5th largest school district. Whether your daughter is preparing for tryouts, working on her first tournament or looking to take her game to the next level, we are here to help. Winter is a great time to get introduced to beach volleyball and prepare for our competitive season in Spring and Summer. 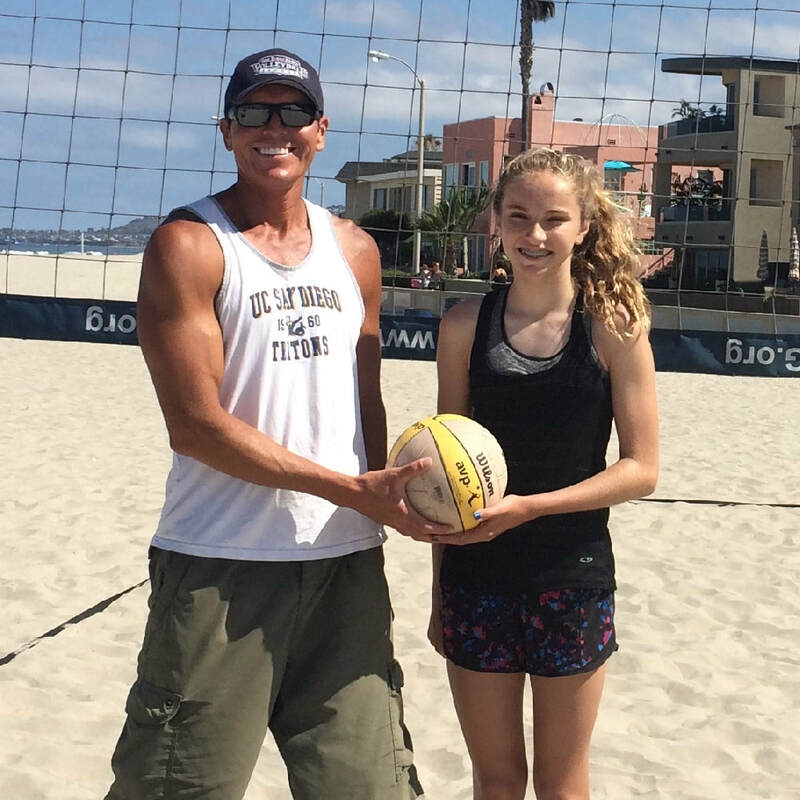 Train in the "off-season" to be ready to play in upcoming beach volleyball competitions. This is an individual training program, so you don't need a partner. We are emphasizing training girls as individual players in the Winter. Learning to play with different people is very important and we are going to use this time to work on that. ​1. 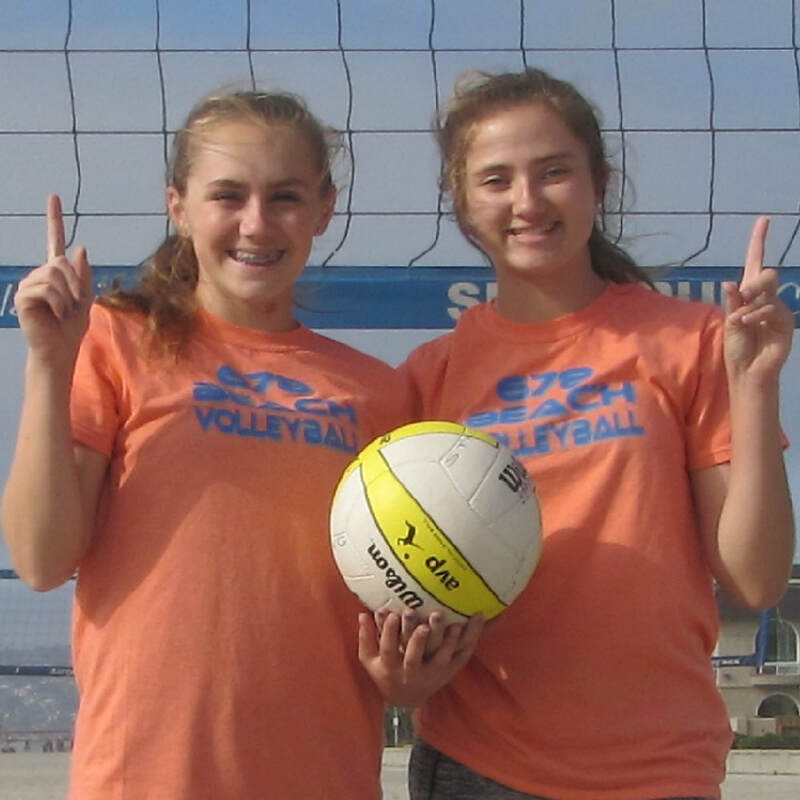 12's, 14's This program is for ALL players that have committed to become better at beach volleyball and get ahead in the spring season instead of waiting until summer. Our Sessions work around the High School beach season. Cost Includes a short sleeve T-shirt and 12 practices coached by semi-pro beach volleyball players. The winter season offers over 18 plus hours of instruction, and 12 strength/speed/agility training sessions at the end of every practice. The season starts on MAR 4th and ends APR 11th. Partners: You will not need a partner for this program but if you do, you can request to train with him/her. Tournaments are optional. We are located at the yellow portable nets just west of the permanent nets. Partners Not Required: This is an individual training program. We are emphasizing training young athletes as individual players in the Fall. Tryouts: There are no tryouts, anyone is welcome to participate. We typically have plenty of space available. If we have a large response, we may need to add an additional day and time slot from 4:00-5:00. Our registration will take place on Oct 5 at 11:00. The Fall Season would be a great time to introduce you to our program if you have never played for 619. ﻿This season is a great opportunity to get introduced into our program, or to get ahead and start preparing for our national team tryouts in Spring. Program Duration: This private training program will begin on October 22 and run through November 15 . Practice Sessions: For your convenience, our available days to practice at South Mission Beach will be: Mondays and Thursdays from 4:00-5:00. You pick and choose what days work best for you.